Earlier this semester, in a post called “Why I Write,” I explained how I’ve always been enamored with the written word. I wrote about how writing is my primary form of expression thanks to my hopelessly introverted personality. 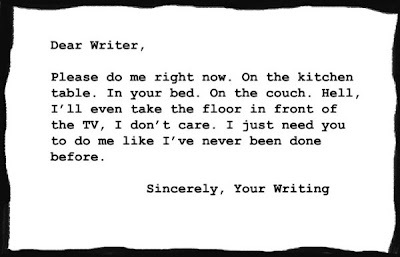 I also explored why writing is so hard for all of us (spoiler alert: there are countless reasons). I explained that I write to know myself, as trite as that may sound. Writing is a form of thinking–I need a pen and paper (or a laptop and a word processor) to organize my scatterbrained ideas. Before Writing for Publication, I didn’t realize how much of the writing we consume is tailored to fit specific audience needs. Or rather, I knew that intellectually but not in practice. In writing my commentary and review, I had to narrow the focus of my subject to align with the interests and experience/knowledge of my possible readers–without actually knowing much about the people who stumble across my relatively new blog. That’s tough, and not something most beginning writers think about when it comes to online audiences. After all, an average reader who doesn’t know much about the trans* community probably wouldn’t know what it even means to be transgender versus transsexual, or the difference between someone who’s transgender and someone who crossdresses. Nor would someone who’s never picked up a bodice-ripper know what it means for a fictional heroine to be dubbed “too stupid to live” by the romance reader community. 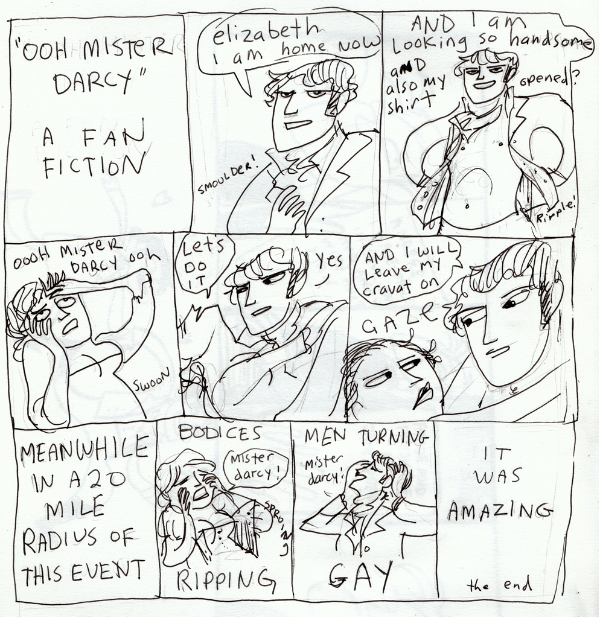 Nor would they be familiar with this hilarious Jane Austen parody by Canadian artist Kate Beaton. The reasons I listed in my first ever post on this blog still hold true, but with every piece I write, I learn something new about my motivations for writing. That’s how developing a skill works, after all. Since the beginning of my Writing for Publication class (for which this blog was started) I’ve noticed how my writing ideas are often inspired by curiosity. For example, I wrote about pre-med students in “Triage and Tribulations” because I’ve always wondered about the specifics of my pre-med friends’ daily lives and worries. For me, writing that feature was about learning something completely new and arranging all that research into what I hope was an engaging and readable final product. It was also about empathizing with my subjects, which is one of my favorite parts of writing. When writing about people other than yourself (real or fictional), you get to imagine their circumstances and emotions and try to portray those sensitively. But the main reason I never get tired of writing, even after sleepless nights hunched over my laptop while trying to pound out a piece before a deadline, is simply that I love it. Something about channeling my creativity onto the page sends a rush of adrenaline through my veins every time. I couldn’t stop myself from writing if I tried. When I first had the idea for this blog post, I wanted to discover how everyday bloggers like you and me become famous. Who’s successful, and how did they get there? Of course, I soon realized the difficulty of researching that topic, since most bloggers don’t brag about the number of followers they get. Instead, I decided to focus on a simpler question: Why do people like “famous” blogs, and how can beginning bloggers like myself benefit from their example? A lot of this “research” comes from my own experience with blogs and other forms of online content. As Chris Pirillo (blogger and founder/CEO of LockerGnome) says, “Stay true to yourself and your voice. People don’t care to follow sites as much as they care to follow people.” It’s true—monolithic aggregate blogs don’t appeal to me as much as individual humans behind a keyboard who have something funny or interesting to say. My favorite bloggers are those who have a unique voice and entertain me. They can teach me something valuable by sharing their “expert” knowledge, they can show off their creativity (a piece of fanart or a comic featuring their own characters), they can make me laugh, they can comment on a current event—the list goes on. Not every blogger has to pick one goal (“persuade,” “inform,” “entertain,” etc., are not mutually exclusive). In fact, variety can often be more interesting in a blog. The biggest thing that attracts me to a blog, though, is a personal style. For example, NYT-bestselling author Jenny Lawson, a.k.a. “The Bloggess,” posts about everything from haunted toilets to a battle with spellcheck on her blog, but she does so in a brazen, witty way that I (and the rest of her readers) can’t get enough of. We, as readers, like unique people who contribute something new and interesting to the crowded blogosphere. “The toilet was gurgling and making noises like a cat vomiting, and I thought that seemed odd because toilets don’t vomit and are more likely vomited into, but that noise was definitely coming from the toilet and that’s when I realized that my toilet is probably haunted. This doesn’t require posting every day. In fact, one blogger even argues that producing too much content too often can hurt your pageviews (and audience interaction with your posts, as they get bumped off the top of your homepage). But producing content more often than every few months can improve your credibility—and if you’re producing quality content, readers will keep coming back for more. This is a drastic example of bad web design. Don’t use clashing colors or light text on a dark background, because it hurts readers’ eyes. Simple and clean is best. Keep it simple, readable, and clean. But you can also customize your blog’s appearance to fit its purpose or theme. A photography blog should focus on visual elements, while a music blog should showcase audio. Your readers will appreciate a professional-looking blog (if you’re going that route) or a quirky graphic header, if you like to think outside the box. Your blog is a creative space to show off your personality and style, so let both shine. Here’s a great example of a unique, simple header that makes navigating The Bloggess’s blog easy. Once you attract a few loyal readers/followers, give them a reason to keep reading your blog. Famous bloggers like The Bloggess create extra content—she has a Zazzle shop featuring gift mugs, graphic tees, and bumper stickers with off-color jokes and clever names. 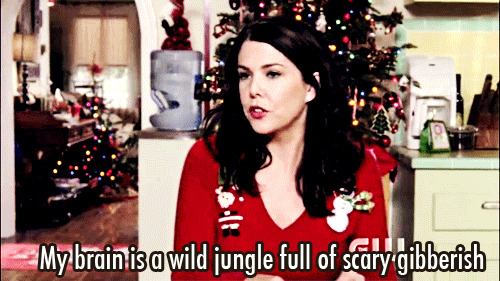 Kate Beaton (creator of the historical comedy webcomic, “Hark! A Vagrant”) sells various merchandise based off her comics to fans of her work. Unless your blog is just your diary, you probably want people to read it. And what’s the point of attracting readers if you don’t interact with them? Reader feedback (the constructive kind, not the vitriolic YouTube comment kind) can help you brainstorm ideas for new posts, or let you know how you could improve your layout. And let’s face it—when people tell you they like your blog, it’s a heartening feeling. Blogging takes work, and it’s nice to be appreciated. Sunil and I have been Twitter friends for a while now (since I like to follow interesting writers), and we’ve had a couple convos about writing and popular culture. I’m guessing that’s why he RT’d my promotion of an earlier blog post on here. If you make friends who are blogging about similar things that you’re blogging about, and they like your blog, they’ll probably promote it. You’ll gain followers and friends, whether you use tumblr, Twitter, Facebook, or the website that hosts your blog. The best way to make said friends? Interact with their content by commenting, tell people when you like their stuff, make jokes, be human. Not everyone will like you, but you’ll find some people with similar interests and your blog (and life) will be better for it. Social media is, by definition, social. Use that to your advantage. A side note—If someone asks you to post a guest post on their blog, or provide content for their site, do it. It will get your name out there, you’ll gain experience, and you’ll build relationships in your blogging “field.” Online networking is just as important as in the real world. My friend Nea has her own food blog, Hungry Hungry Highness, but she’s also contributed to a recipe site called Simple Dish to get her name (and recipes) out there. Webcomic artist Noelle Stevenson contributed this recipe graphic to a site called “They Draw and Cook,” gaining both readers and karma points. 6) Create quality content that people like. You’ll improve through practice. I hope my tips helped! What strategies have you seen your favorite bloggers using? Which have you tried, and which have worked? Let me know in the comments. A delicious food blog run by my friend from high school, a BYU student who may actually be a fairy princess in disguise. Her artwork has been featured on the covers of YA books (Rainbow Rowell’s Fangirl, for example) and she’s published both print and online comics. Noelle, or “Gingerhaze,” is super talented and her tweets are hilarious. Tynan’s plain advice posts contain nothing particularly controversial or hard-hitting, but his humble, human approach to blogging is refreshing.